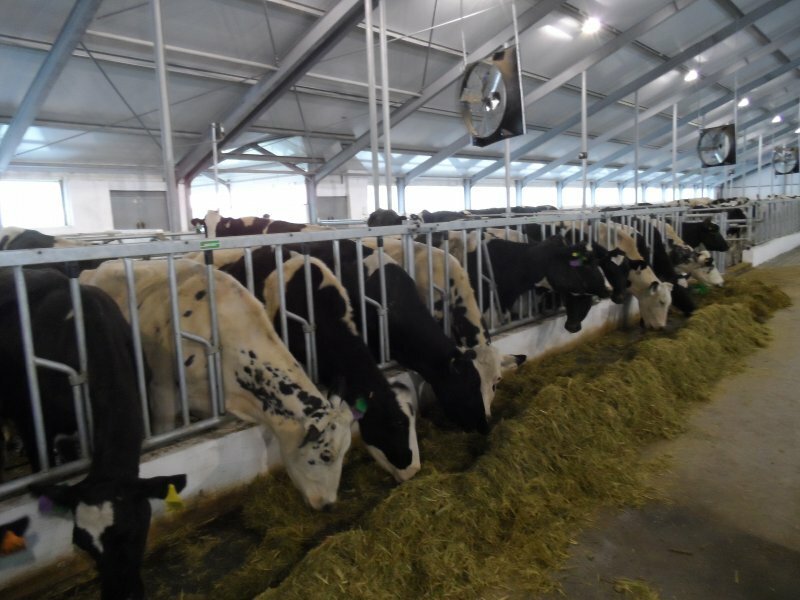 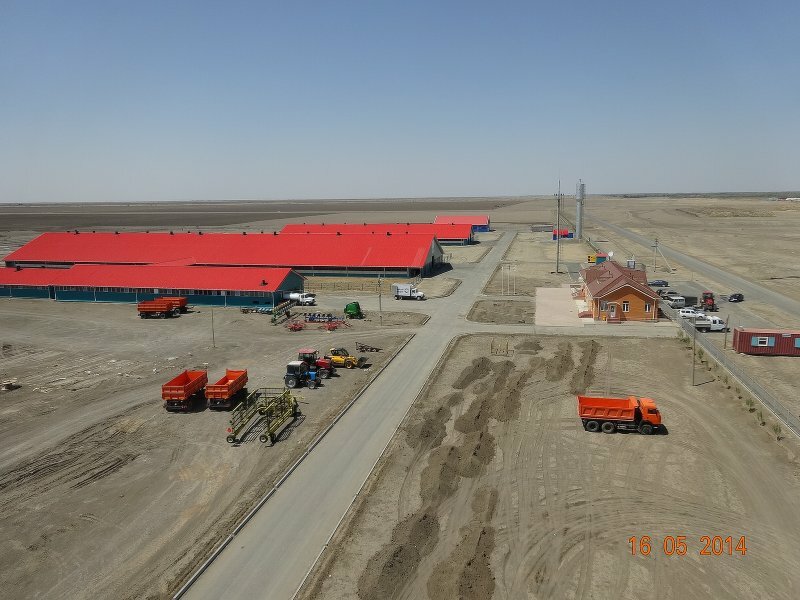 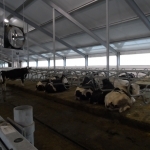 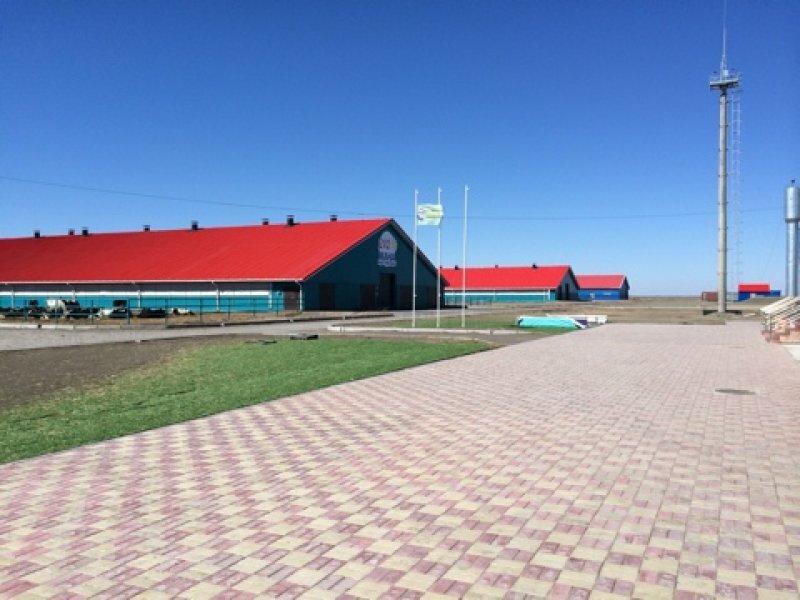 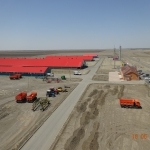 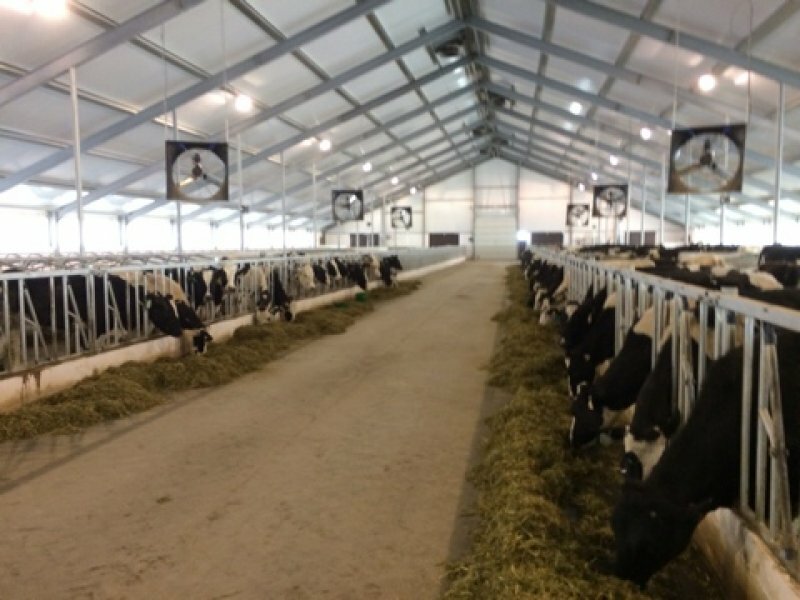 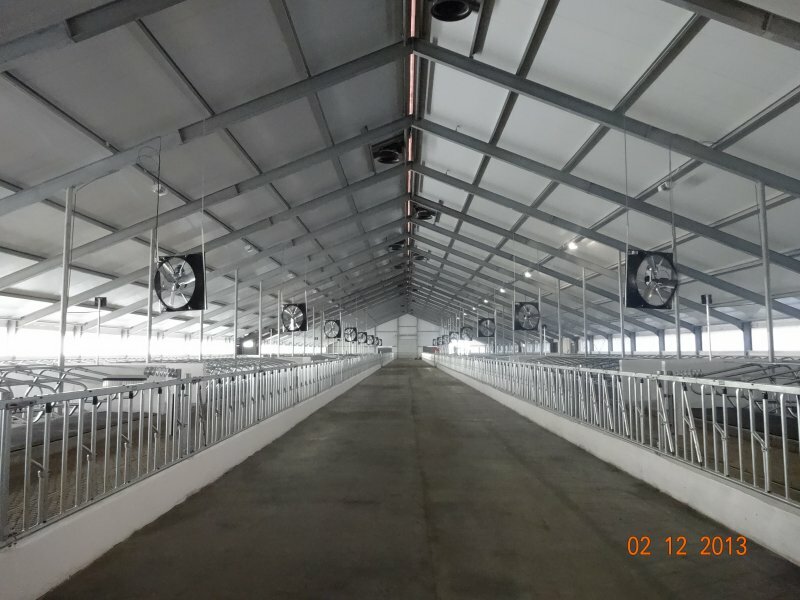 The dairy farm project has one dairy cow stable for approximately 500 dairy cows. 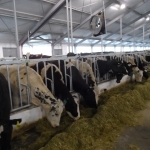 In one part of the stable, the dry cows and maternity are located. 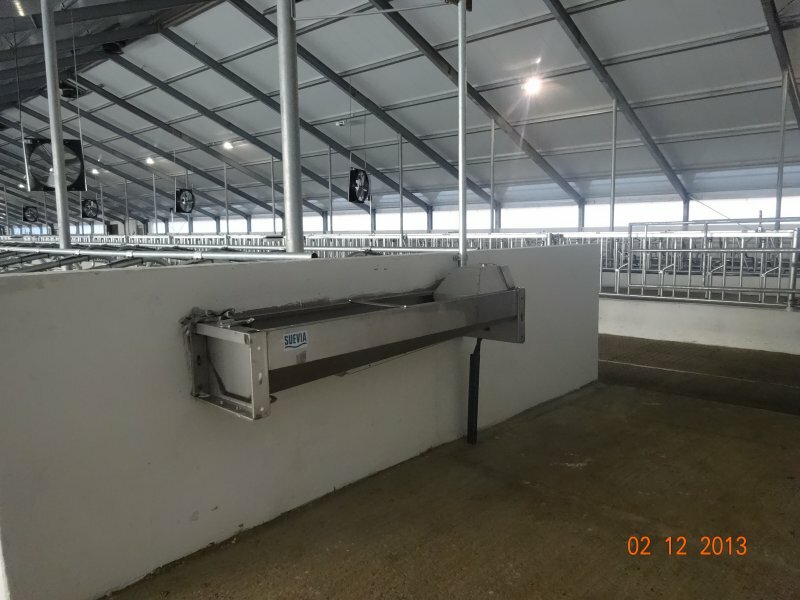 The newly born calves are housed in individual hutches and after approximately two weeks the calves are housed in group straw boxes. 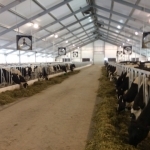 After two months the calves are housed in a seperate young stock stable. 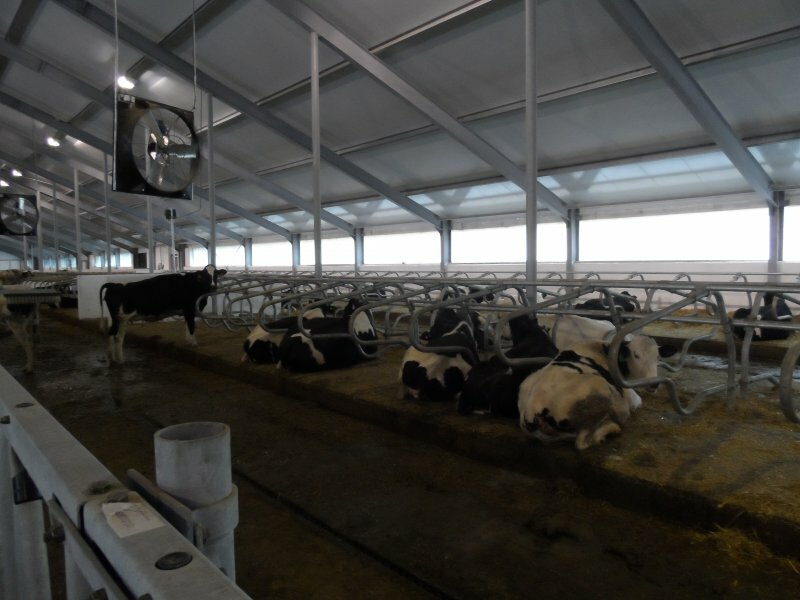 High comfort cow mattresses for dairy cows and rubber mats for young stock insure comfortable resting places for the animals. 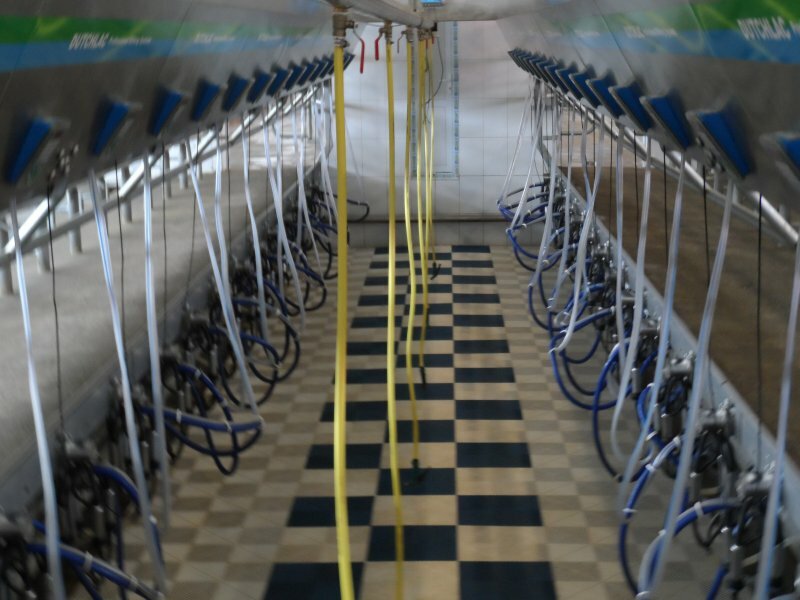 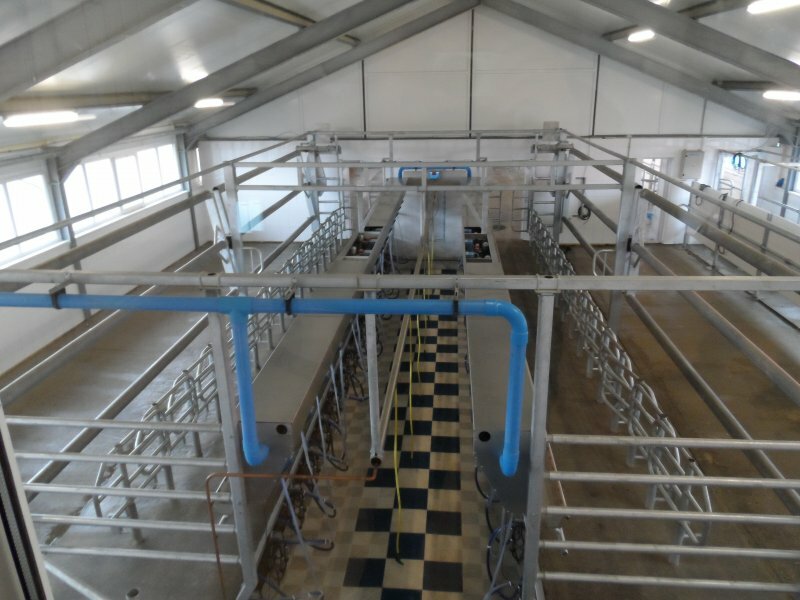 The milking parlour is a side by side 2 x 16 rapid exit milking with a capacity of approximately 160 cows per hour. 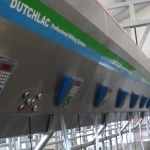 The milking parlour is equipped with automatic identification and milk meters. 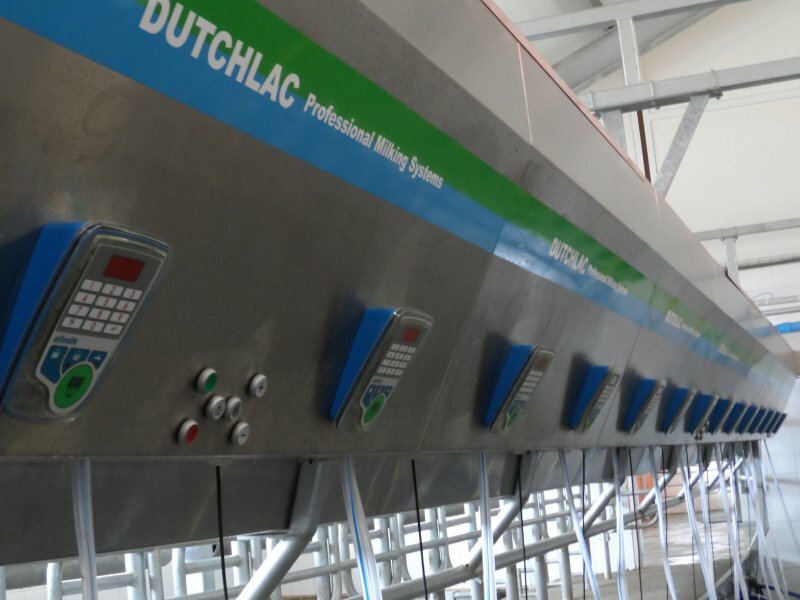 Upon entering the milking parlour the cows are automatic identified and milk yields are automatic registered in the computerised management program. 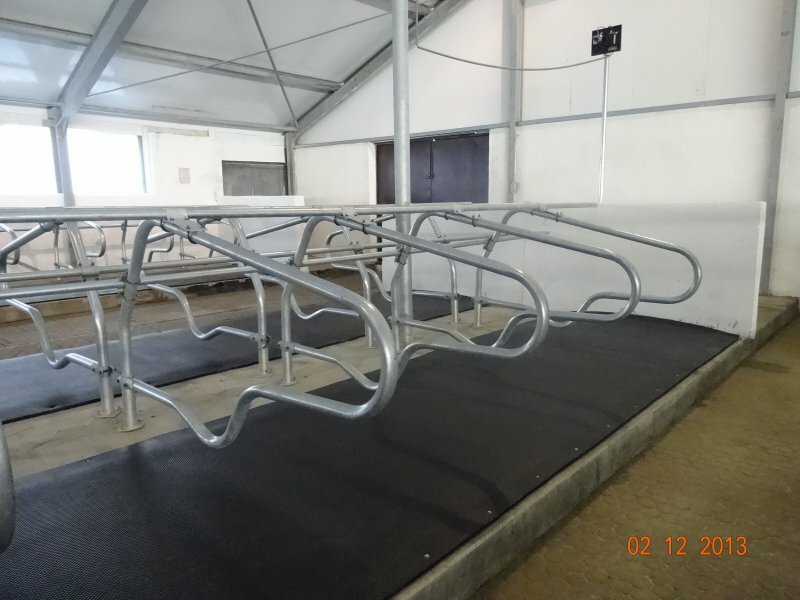 Cows that need to be inseminated or need treatment can be separated by a selection gate situated in the return alley from the milking parlour. 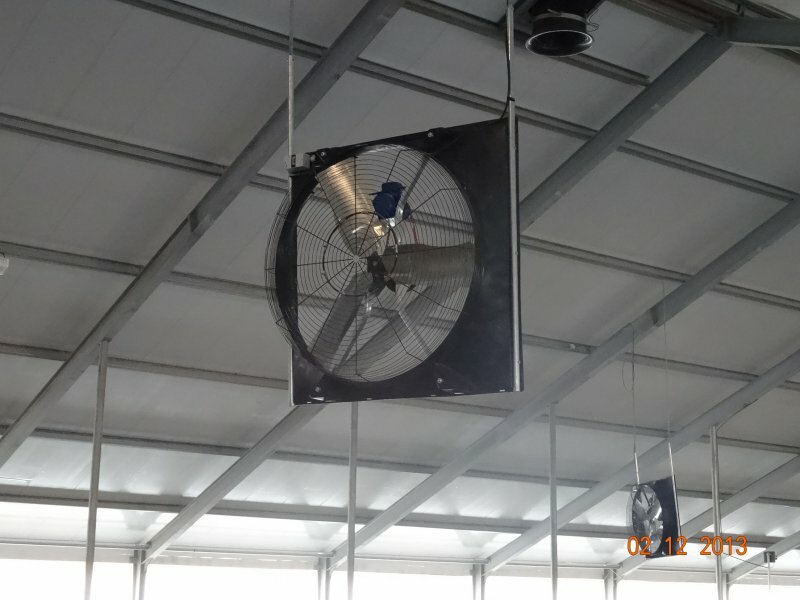 Ventilation is a combination of fans with fogging module, ventilation chimneys and ventilation curtains that can be opened and closed according outside temperatures. 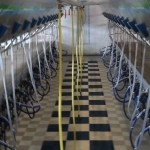 All manure produced in the stables is moved by manure scrapers in manure cross channels. 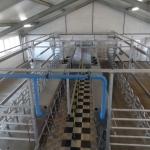 From the manure cross channels the manure can be pumped towards the manure lagoons.